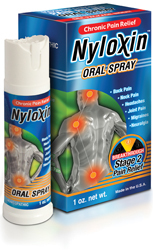 Nyloxin Oral Spray is prepared according to the requirements of the Homeopathic Pharmacopoeia of the United States (HPUS) and its supporting texts. This works for my back pain! Awesome product!